As the temperatures here in New Braunfels heat up now that summer’s here, we at Legacy Heating and Air Conditioning want to help you stay cool and comfortable all summer long. 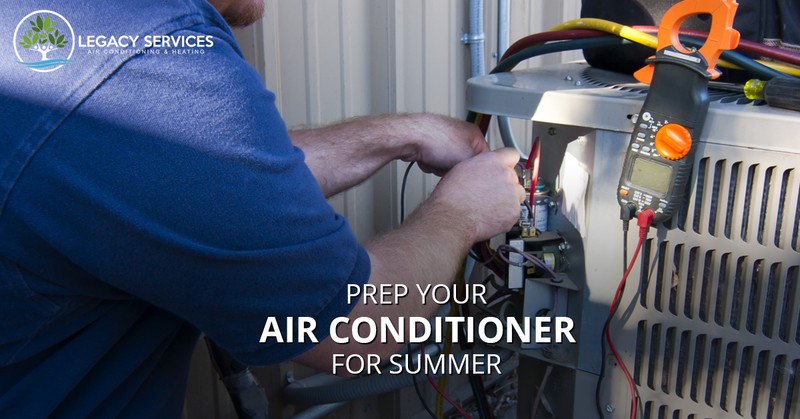 The best way to stay cool is by ensuring that your central air conditioning system is prepped and ready for summer. We have compiled a few tips to help you prepare your air conditioning system to make sure that it’s able to maintain comfortable temperatures in your home, while also helping to prevent any unexpected breaks or system failures. Please continue reading below. If you missed our last blog post, we reviewed some of the key components and functions of a central air conditioning system. It’s a good idea to be aware of your air conditioning system’s three main components (condenser/compressor, the blower unit/condenser fans, and ductwork) before you check that it is functioning properly for summer. For air conditioning condenser units to function properly, they need to be cleared of all debris. Make sure there are no structures, tools or other equipment blocking the system which could obstruct the efficient airflow. 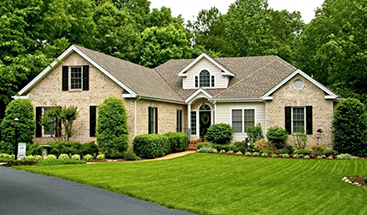 Additionally, cut back any overgrown vegetation and remove any leaves surrounding the condenser. It’s a great idea to replace your filters every 30 days or at least every two to three months. Keep track of regular air filter changes by marking them on the calendar. Because your air filter is essential to cooling your home, you’ll definitely want to be sure to replace your air filters before your air conditioning system is kicked into high gear during the sweltering summer months. Air filters can become clogged, which interrupts regular airflow. If you notice a decrease in airflow, you’ll definitely want to replace the filter. It’s always good to maintain clean vents by vacuuming, dusting, and wiping them down to get rid of dirt and dust build-up. Additionally,cleaning your vents helps you get rid of unwanted critters that like to make vents their home. Spiders love building webs in vents which collect dirt, dust, bugs, and other debris. Cleaning your vents will help ensure proper airflow while also promoting cleaner air quality within the home. Checking the refrigerant (most likely Freon) levels helps prepare your air conditioning unit. When refrigerant levels run low, this can make your A/C unit work even harder to cool the air in your home, putting stress on the overall system, and even impacting your energy bill. What’s more, low levels of refrigerant can cause your unit to freeze, putting a damper on your pocket and your time. Running tests on your thermostat can help make sure your air conditioning system is running properly. It’s important to run a thermostat test at the start of seasonal changes to check if they need to be re-calibrated. You can also make sure that your thermostats are programmed specifically for the temperature and humidity changes that accompany seasonal changes. Schedule a tune-up with one of our expert technicians who will inspect your air conditioning unit for refrigerant leaks and drainage problems. Our HVAC professionals can also perform repairs such as replacing broken compressor fans or frozen condenser coils, which will help ensure that your air conditioning system is running at its full potential, keeping you, your family, and guests comfortable and cool. If you experience any issues or problems with your central air conditioning unit that requires repairs or replacement, you can count on our HVAC experts Legacy Heating and Air Conditioning. We provide fast, high-quality, and reliable air conditioning services 24 hours a day. Call the New Braunfels Top Rated LocalⓇ HVAC specialists today for a free estimate.